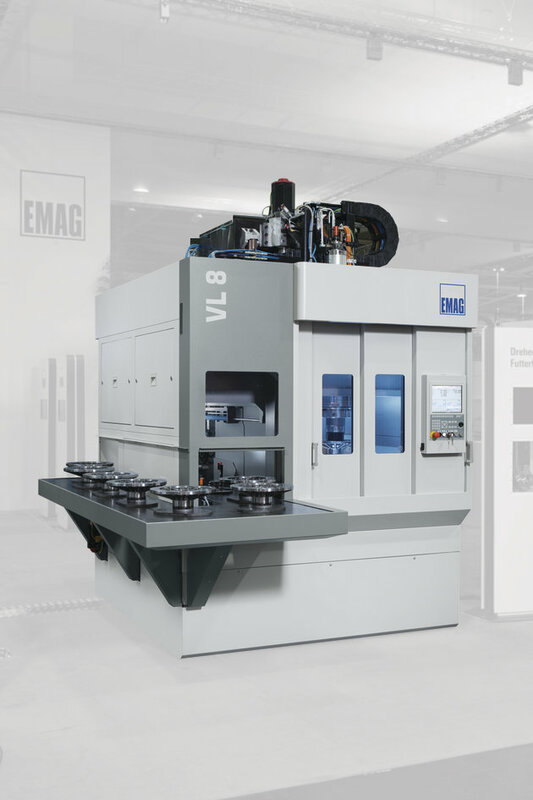 With the VL 8 vertical pick-up turning machine EMAG makes the advantages of its VL series available for large parts as well. 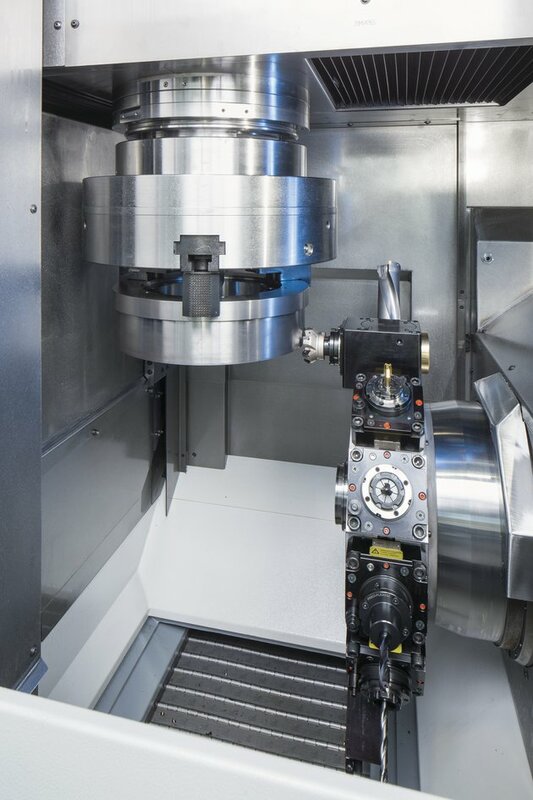 The automation system integrated into the turning machines guarantees rapid processing, while the stable basic structure of the machine ensures top quality in turning and milling. 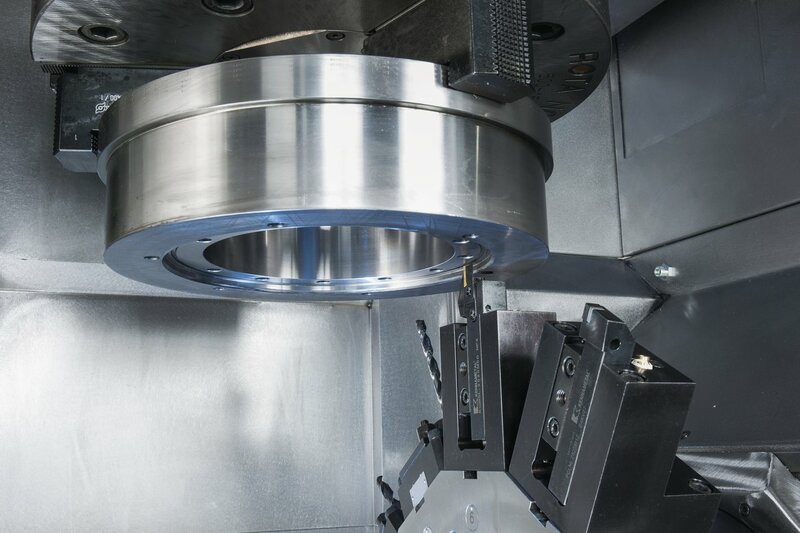 The vertical design likewise contributes to the high machining quality, as it virtually eliminates all effects of chips generated during machining. 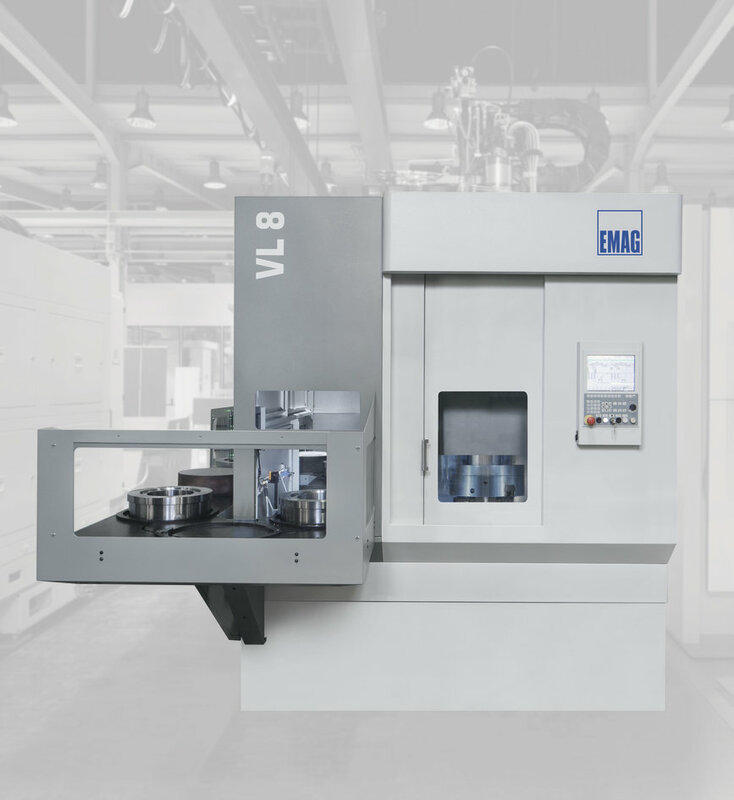 The cornerstone of the VL 8 turning machine is a machine base of MINERALIT® polymer concrete that guarantees a vibration resistant process, providing for excellent tool life and outstanding machining quality. 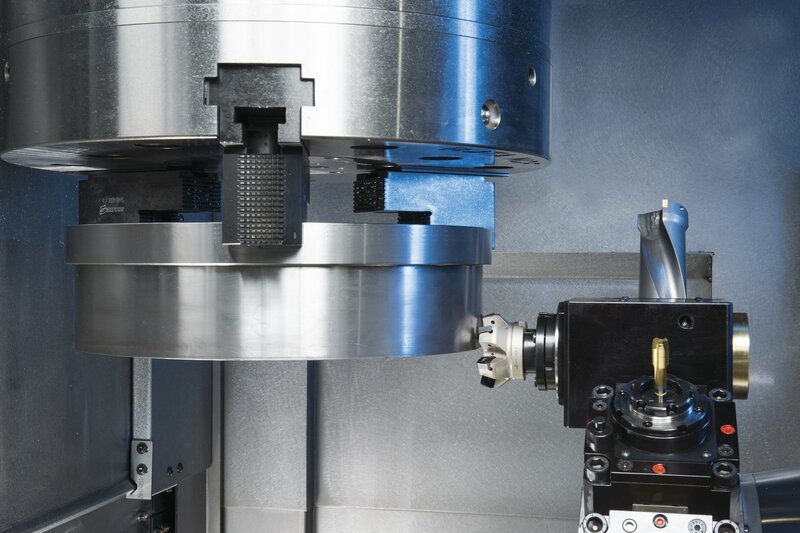 The pick-up spindle collects the workpieces from a lateral conveyor belt, transporting them the short distance to the machining area to ensure short chip-to-chip times. 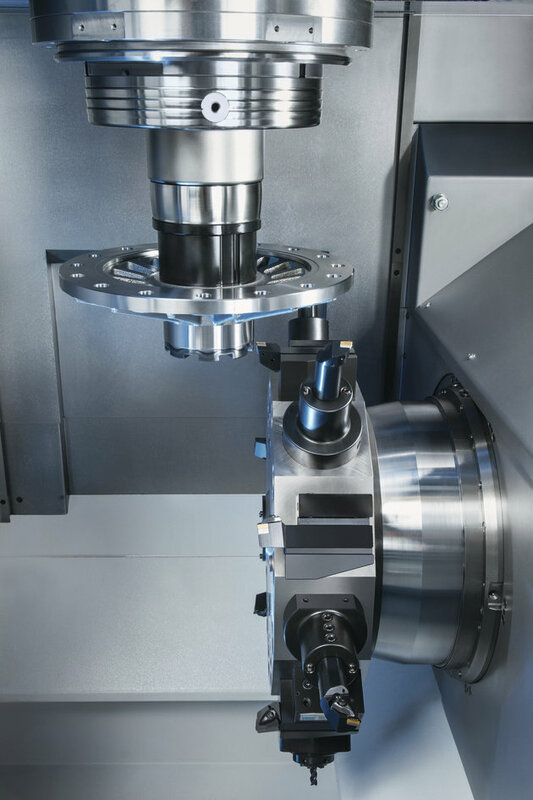 The machining process is highly flexible, allowing for the use of a large variety of tools. 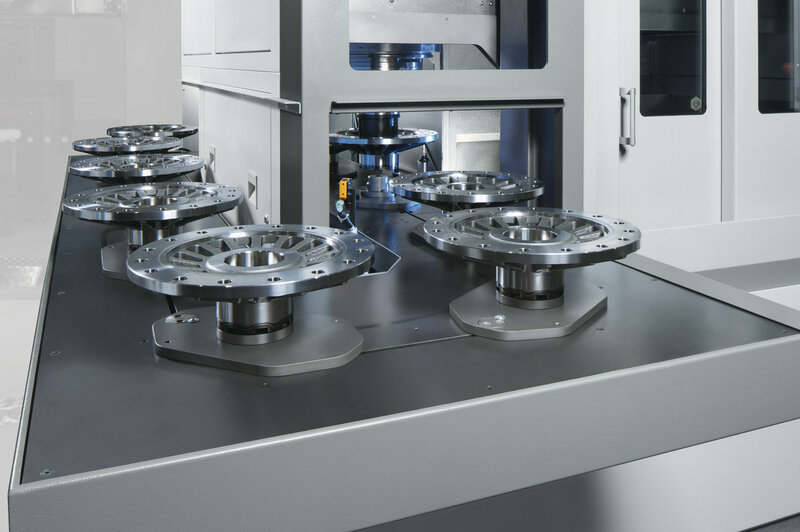 Machines are easily interlinked and the integration of a Y-axis in the turret allows for the “off-center” machining of more complex geometries.